Founded in 1992, Direct Auto Import started as a wholesale distributor and importer of aftermarket automotive accessories. Over the years, the company gained experience and decided to develop its own product lines to better satisfy the customer's desires. Progressively, DAI began specializing in manufacturing alloy wheels and launched DAI Alloys. Today, DAI Alloys offer a broad spectrum of alloy wheels, all of which go through a great number of quality tests. Proudly Canadian, Dai Alloys has its head office in Laval, Quebec and 11 distribution centres across the country to ensure easy access to its inventory. Well aware of the Canadian reality, the brand provides a wide variety of wheels adapted to resist our rough winters. To make sure that their products can withstand the harshest conditions, the company runs an accelerated corrosion test on the wheels using salt water spray. Moreover, every product manufactured by Dai Alloys meets the JWL and VIA standards. Anodized, ART, Candy, Classic, Staggered, Truck, and Tuning. Those are the 7 distinct wheel collections that Dai Alloys created to answer every taste and budget. Whether you want flashy pink wheels for your Honda, a set of slick silver mags to fit your truck, or satin black replicas for your BMW, Dai Alloys has something in its inventory that suits your needs. 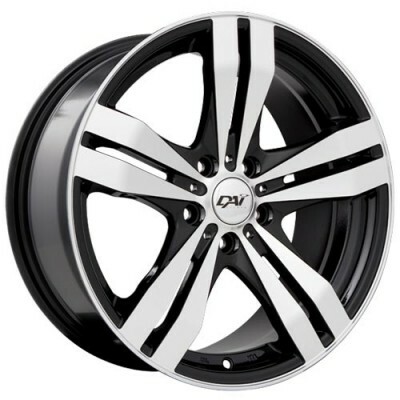 PMCtire proudly offers a great selection of Dai Alloys wheels. With its true desire to deliver quality products and passion for the automotive industry, Dai Alloys proves to be a brand we can trust. To know which Dai Alloys product better fits your vehicle and needs, use our vehicle selection tool or contact one of our experts.